I was shocked when an empty train came east in the afternoon. All of the tubs looked new, so I followed it up to Shelby to get a shot or two. 1. CSX 267-7584 e/b roll up the main at the west end. Shelby. 2. 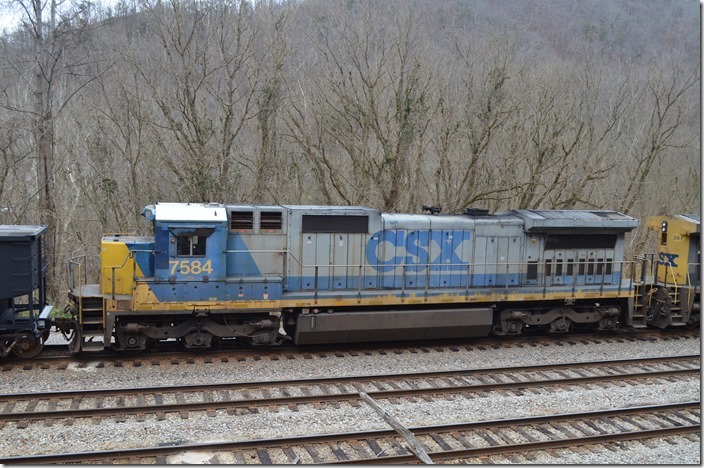 CSX 267 3177. T007-27 with 3177 is going on duty at the yard office. Shelby. 3. CSX 267 arrives Shelby. 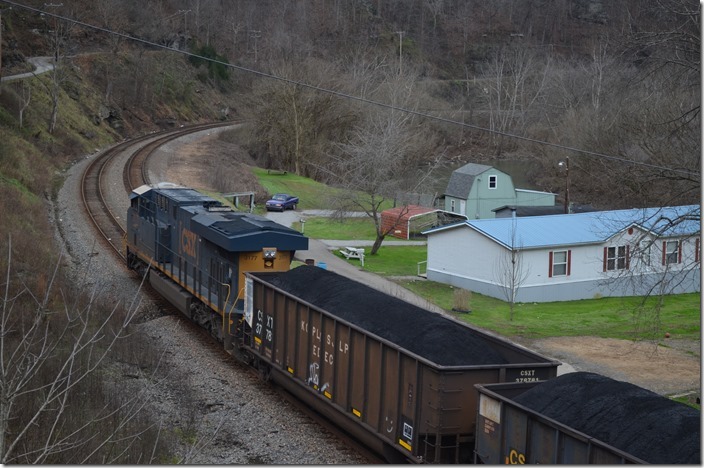 Most of the coal in the yard was from McClure Mine on the old Clinchfield. 3177 will take a train out later. 4. 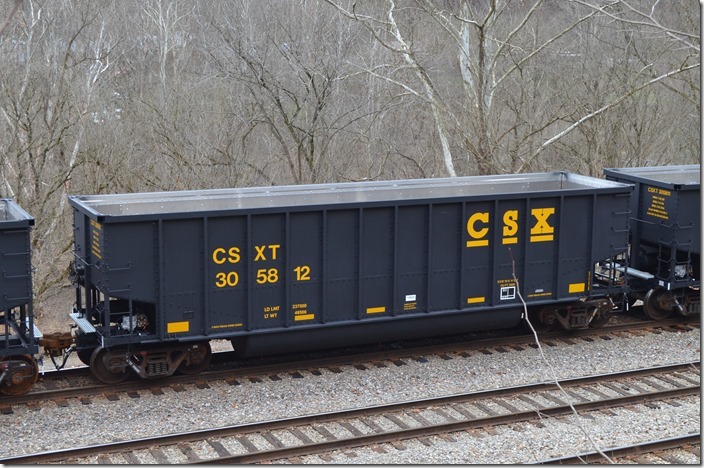 CSX tub 305812. These cars were “rebuilt” by FCA. They look brand new, but have a build date of 06-1976. They have never been loaded! Shelby. 5. 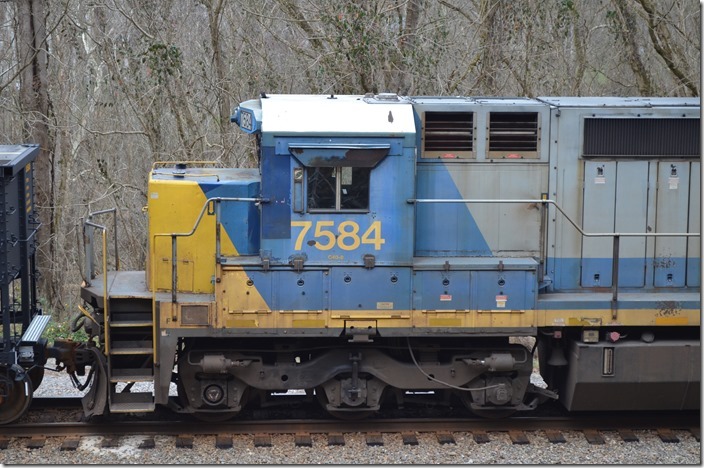 CSX 267-7584. U903-31 parked on the main at the east end of Shelby. 6. CSX C40-8 7584 is battle tested. Shelby. 7. CSX C40-8 7584. Shelby. View 2. 8. 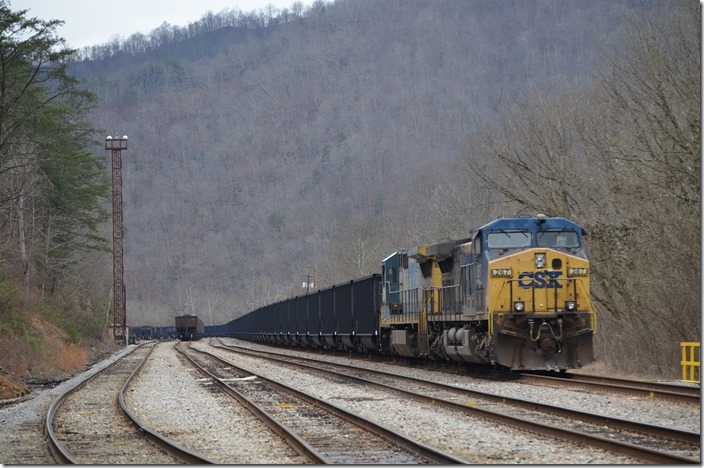 CSX hopper 836912. Shelby. 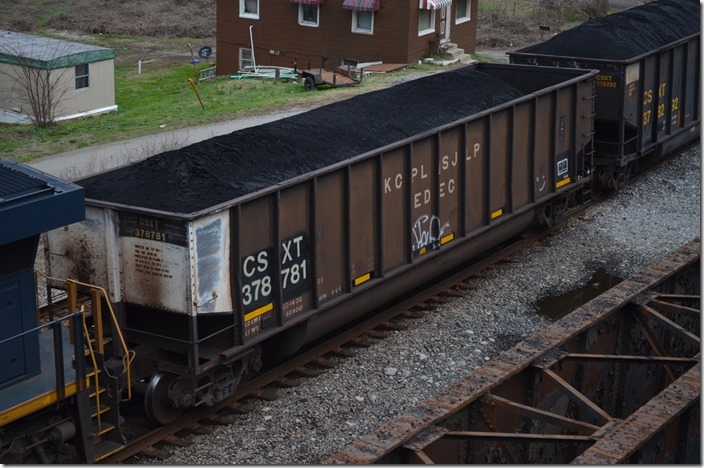 A scene that is very rare anymore...a yard full of coal!! 9. 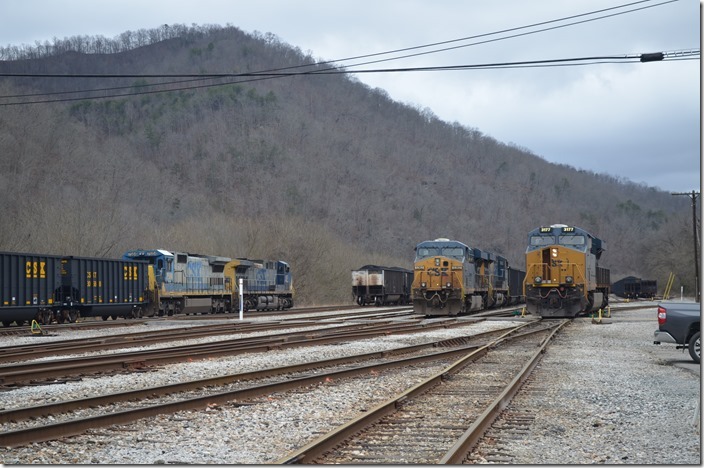 CSX hopper 836053. Shelby. 10. CSX 3177 departing Shelby. 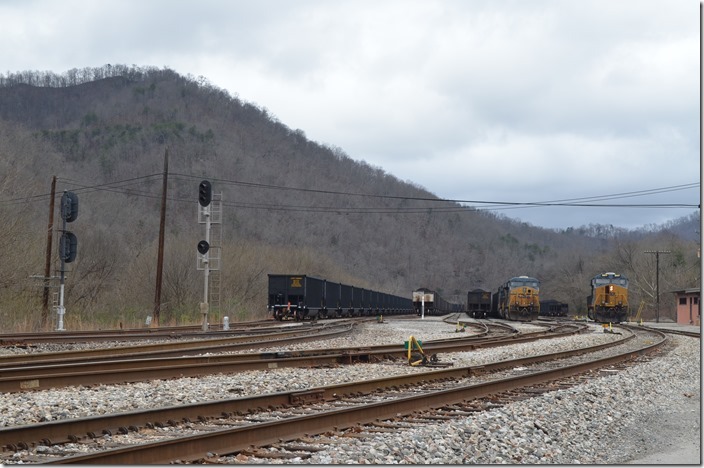 T007-27 (McClure Mine VA – Ceredo KRT) departs with 98 loads. 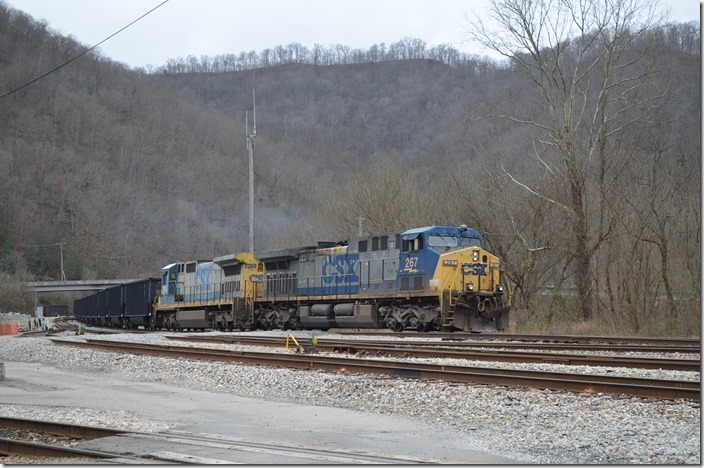 He will pick up an engine at Paintsville, but will have a clear shot to BS Junction. 11. CSX tub 378781. Shelby. One of the “used” tubs that composed the entire train. 12. 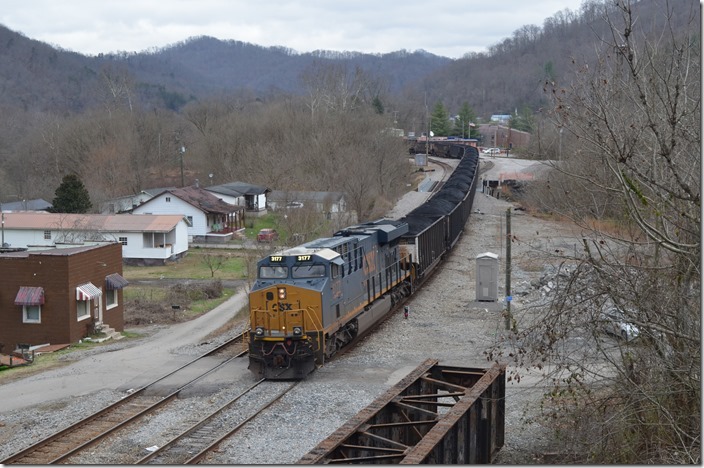 CSX 3177 departing Shelby. T007-27 will stop at Fords Branch in a few minutes for a brake test and will rumble by WE Pauley in about two hours. 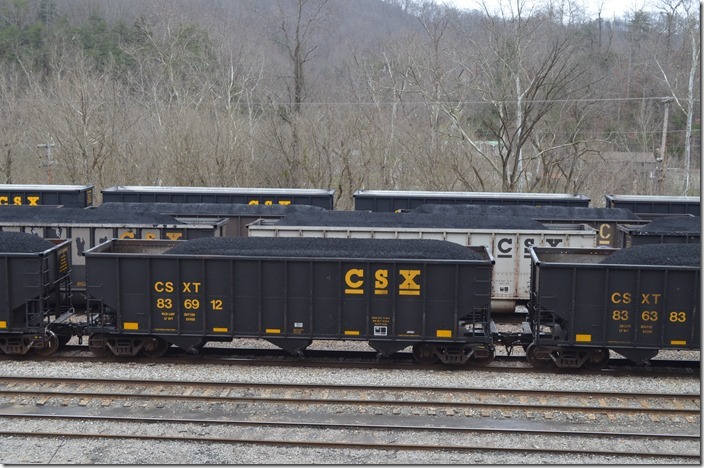 The rest of the McClure coal went west in the evening behind four units and 239 cars! Three trains past WE Pauley these days...wow! 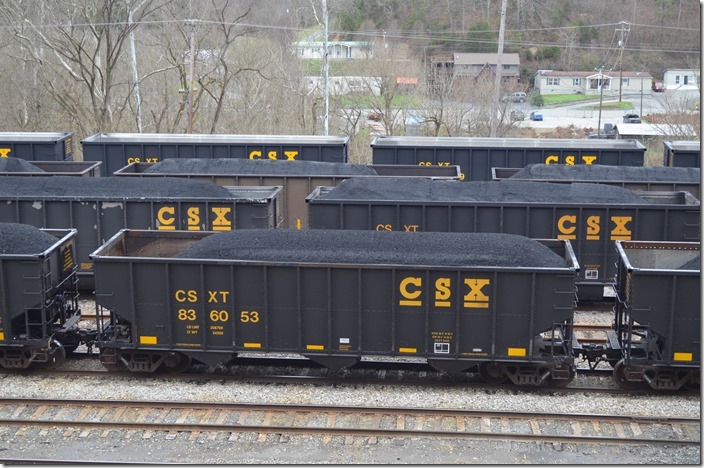 CSX can go to the infernal regions as far as I’m concerned!